Love marching bands or drum corps? Love animals? 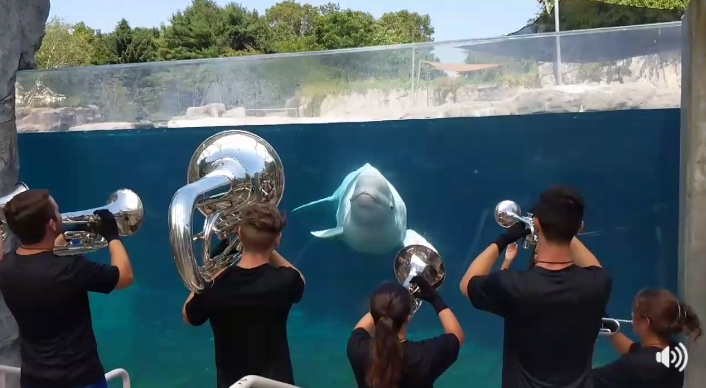 A small group of members from the 7th Regiment small ensembles played an impromptu concert to a very curious whale. Watch as the whale hears the music and comes over to investigate them, decides to stick around and enjoy it. Also: Download episode 3 of our podcast "Across The 50" today! !